What do the wisdom of Moses, the age-defying longevity of Methusaleh, the action-figure prowess of Chuck Norris, and the charming good looks of, say, Brad Pitt or Chris Pine, have in common? You guessed it – a beard. 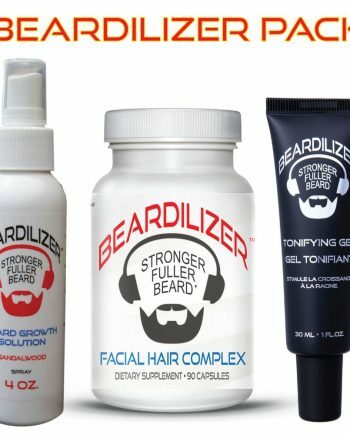 So, whether you already ARE a character, or just need to build some, a healthy, luxurious beard is a good place to start. There is just nothing that frames a man’s face as nicely as a beard. 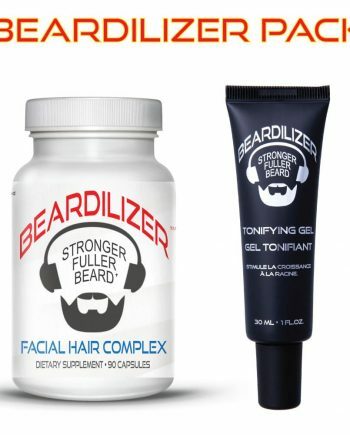 And, it has just never been easier to grow a great beard. 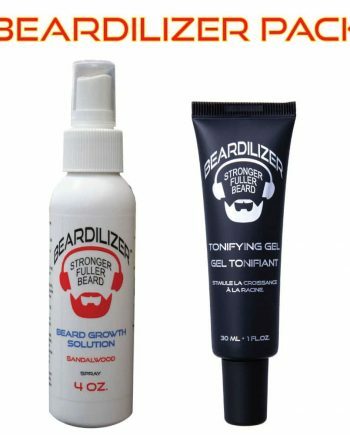 For example, for individuals who might not want to take the Beardilizer dietary supplement on a daily basis, we now offer the Beardilizer topical beard spray. 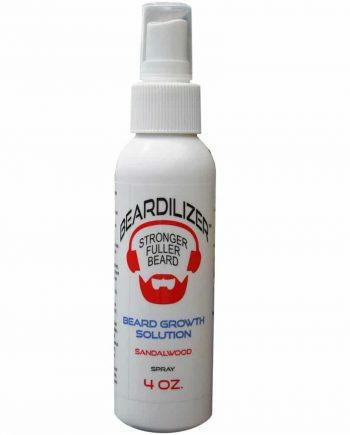 This spray can either be used in combination with the dietary supplement, to put your beard growth regimen in overdrive, or it can be used solo as a fast and easy delivery system for stimulating beard growth. 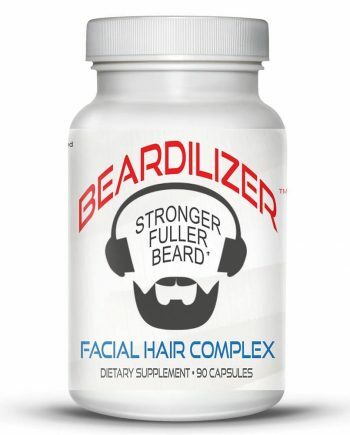 We are proud to own the bragging rights to this exceptionally effective and easy-to-use product, specially formulated to provide just the right blend of nutrients, and in the right quantities, to optimize your beard growth. You will revel in the spicy sandalwood fragrance, redolent of a brisk hike through the woods on an iconic, autumn afternoon. 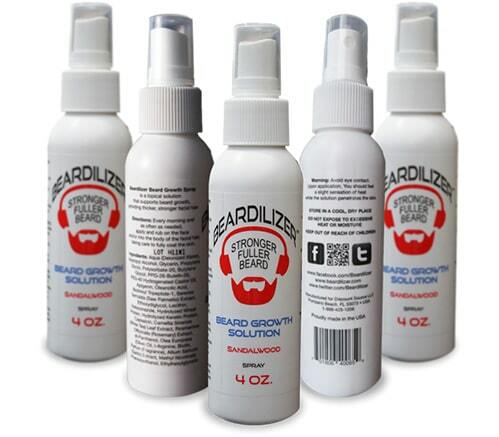 The Beardilizer ® brand is popular with professional beard competitors worldwide. 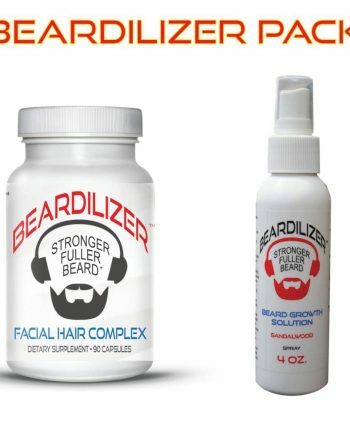 The new and improved beard spray formula now contains an extra dosage of infused biotin and a new source of Capsicum. This results in an increased potency and significantly less burning. Avoid contact with eyes, and wash hands thoroughly after use. When applying, you should feel a slight tingling sensation as the solution is being absorbed into the facial skin. Indications: Beard and mustache growth, conditioning, and grooming. | Ingredients: Aqua (Deionized Water), Isopropyl Alcohol, Glycerin, Propylene Glycol, Polysorbate-20, Butylene Glycol, PPG-26-Buteth-26, PEG-40 Hydrogenated Castor Oil, Apigenin, Oleanolic Acid, Biotinoyl Tripeptide-1, Serenoa Serrulata (Saw Palmetto) Extract, Ethoxydiglycol, Lecithin, Ketoconazole, Hydrolyzed Wheat Protein, Hydrolyzed Keratin Protein, Capsaicin, Camellia Sinensis (White Tea) Leaf Extract, Rosmarinus Officinalis (Rosemary) Extract, dl-Panthenol, Olea Europaea (Olive) Oil, l-Arginine, Biotin, Parfum (Fragrance), Allium Sativum (Garlic) Extract, Methyl Nicotinate, Phenoxyethanol, Ethylhexylglycerin. | Directions: Every morning, and as often as needed, apply beard growth spray directly onto the skin and facial hair in the beard and mustache area of your face; or spray into your hands, and then rub it into your skin and facial hair, taking care to fully coat the skin and hair. Be careful to avoid contact with the eyes.